Joseph Edward (Lorne) Hutchison was the son of Edward and Violet (nee Bean) Hutchison and was born on December 7, 1914 in West Zorra Township. He was the brother of Elgin and Arthur. 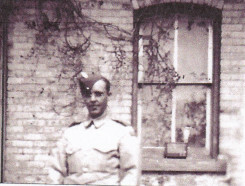 After returning from service Lorne moved to Vancourver, British Columbia.